Dentists have until April 2011 to meet standards set out in health technical memorandum 01-05 (abbreviated to HTM 01-05). The new requirements mean that dental practices are required to implement a dental sterilisation system that will ensure all sterilised instruments are used within a specific time scale from the time of sterilisation. Instruments have a ‘sterile lifespan’, depending on the equipment used to sterilise them. 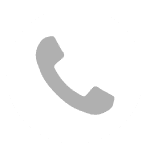 Pre-packaged vacuum steam sterilisation (Type B or S) has a maximum shelf-life of 60 days whereas “type N” unwrapped steam sterilised (post-packaged) has a maximum shelf-life of 21 days. HTM 01-05 is aimed at ensuring all practices meet a minimum standard of sterilisation and operate a best practice in terms of ensuring only ‘freshly’ sterilised equipment is used on patients. The crux of the requirements not only outlines methods of sterilisation but more importantly ensures that someone within the practice is responsible for the management of instrument sterilisation and that a documented system of management is implemented to provide traceability. Positive ID Labels are proud to offer a dental sterilisation system to help dental practices manage their sterilisation process. 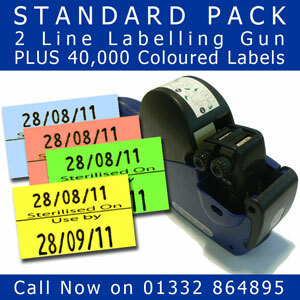 The offer consists of a label gun and choice of pre-printed labels in different colours. Staff can use the guns and labels to label instruments that are bagged after sterilisation and cross-reference these against a paper record of each sterilisation run. This allows quick and easy visual confirmation of what instruments need to be re-sterilised (if any) and which can be used without worrying about being out of date. It also provides a chain of custody record allowing for traceability of sterilisation and responsibility.